Except as provided in Section 1(d) below, Bankingadda grants you the limited, revocable, non-transferable, non-exclusive right to use the Site and the associated Bankingadda Content and Third Party Content (collectively, “Site Content”) by displaying the Site Content on your computer, and downloading and printing pages from the Site under the condition that (i) such activity is solely for your personal, education or other non-commercial use, (ii) you do not modify or prepare derivative works from the Site Content, (iii) you do not obscure, alter or remove any notice of copyright set forth on any Site pages or Site Content, (iv) you do not otherwise reproduce, re-distribute or publicly display any of the Site Content and (v) you do not copy any Site Content to any other media or other storage format. If you elect to display, post, submit or otherwise make available to others, on the Site any content or works of authorship, including, without limitation, images, software, audio files, text, or any other materials (collectively, “User Content”), you hereby grant to Bankingadda a perpetual, irrevocable, royalty-free, worldwide, non-exclusive right and license, including the right to grant sublicenses to third parties, to use, reproduce, publicly display, publicly perform, prepare derivative works from and distribute such User Content, for any purpose. In addition, you hereby irrevocably represent and warrant to Bankingadda that (i) you have all necessary power, authority, right, title and/or licenses to grant to Bankingadda the foregoing right and license and (ii) the posting, submission, display by you of User Content on the Site, and the exercise by Bankingadda of the foregoing license does not and will not (1) violate any law or (2) infringe any intellectual property right of any third party. You hereby irrevocably agree to indemnify, defend and hold Bankingadda, its affiliates, directors, officers, employees and agents harmless from and against any and all loss, costs, damages, liabilities and expenses arising out of or related to any third party claim resulting from a breach of the foregoing representations and warranties. All trademarks, service marks and logos included on the Site (“Marks”) are the property of Bankingadda or third parties, and you may not use such Marks without the express, prior written consent of Bankingadda or the applicable third party. 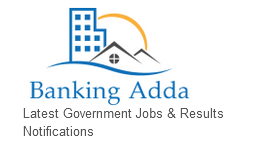 Bankingadda may, but is not obligated to, monitor Site Content, User Content and your use of the Site. Bankingadda reserves the right to accept, reject or modify any Site Content or User Content, but assumes no liability based on its acceptance, rejection, modification or failure to modify any Site Content or User Content. You may not use the Site to post, transmit or link to (i) any advertisement, promotional materials or solicitation related to any product or service that is competitive with Bankingadda products or services or (ii) software or programs which contain any harmful code, including, but not limited to, viruses, worms, time bombs or Trojan horses. You may not deploy to the Site any robot, spider, site search/retrieval application, or other application designed to retrieve, index, “data mine,” information from the Site. You hereby irrevocably agree to indemnify, defend and hold Bankingadda, its affiliates, directors, officers, employees and agents harmless from and against any and all losses, costs, damages, liabilities and expenses (including attorneys’ fees) arising out of or related to you use of the Site.